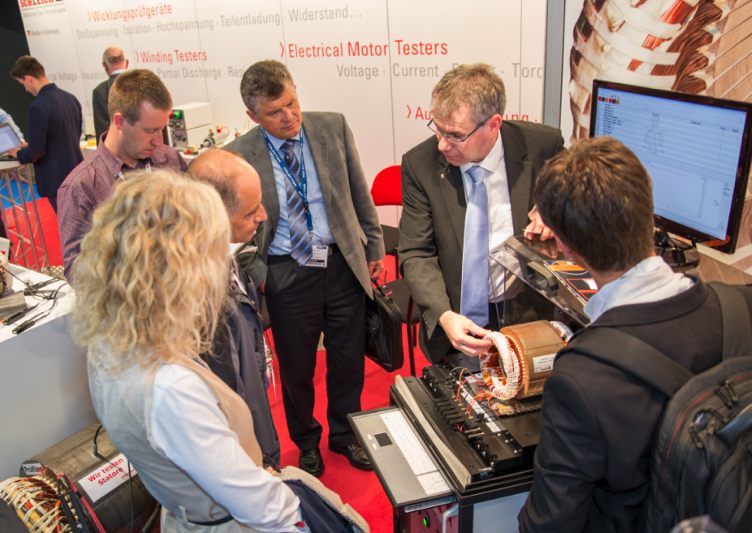 For one week in May, Berlin will become the centre of the global coil winding, insulation and electrical manufacturing community as hundreds of component suppliers, service providers, OEMs and energy companies gather to buy and sell and keep up-to-date with all the latest industry trends. 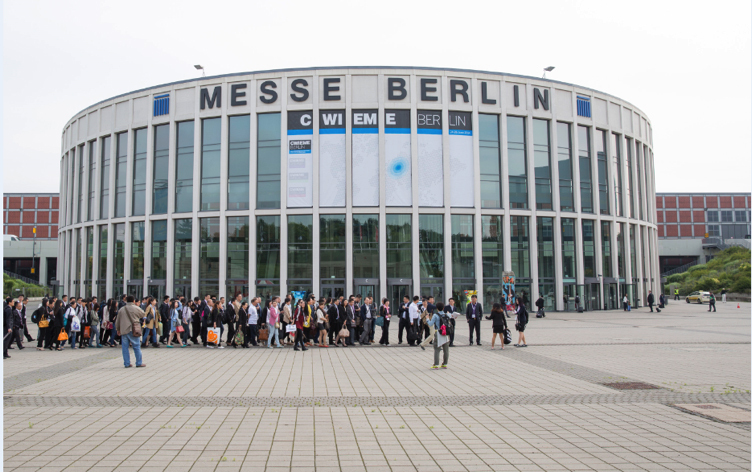 On the 10-12th May CWIEME Berlin – the longest running exhibition of its kind – will celebrate its 21st anniversary over six halls at the Messe Berlin in Germany. As registration opens for 2016, organiser i2i Events Group is expecting another strong year for attendance from electrical product design, manufacturing, quality assurance, R&D and procurement professionals. Last year’s CWIEME Berlin exhibition welcomed thousands of visitors from 82 countries, 92% of which were key decision-makers or influencers. The show also saw a 56% increase in attendance by OEMs, including global players General Electric, Mitsubishi Hitachi Power, NIDEC Motors & Actuators, Robert Bosch, Rolls-Royce Marine, Schneider Electric, Siemens, Tesla Motors, Alstom Power, Philips Medical Systems, and ABB. With so many attendees in the market for motor, generator, transformer, automotive, energy and consumer electronics components, CWIEME Berlin remains an opportune event for suppliers to generate new leads and new business, as well as cement existing relationships. “Every time I come here I see how much the show is growing. CWIEME is important because there are very few events where you can find people who work in design but also in manufacturing in one place,” says Flavio Kalluf, senior R&D design engineer at Whirlpool. In 2016 more than 100 new suppliers will be taking part. These companies – supplying everything from electrical steels, permanent magnets, laminations, and insulating oils, to wires, cables, winding machines and welding equipment – will be found all under one roof in a dedicated new exhibitor zone found in hall 4.1. Grouping all new exhibitors together will make it quicker and easier for regular visitors to the show to discover new products and initiate new partnerships. i2i Events Group also aims to make it easier for potential new customers and suppliers to connect by launching CWIEME Matchmaking, a facilitated networking service allowing visitors and exhibitors to connect and arrange meetings pre-show. “In 2014 we first decided to go as a visitor. After attending the show we were convinced that it was precisely tailored to our product range so we decided to participate at CWIEME Berlin 2015 as an exhibitor. We met most of our clients and were able to establish new contacts with potential customers,” says Winfried Maul, sales manager at Solocuivre. CWIEME Berlin is not just about buying and selling, however. It’s also a place to learn about industry trends and technical advances. The exhibition includes a packed schedule of free-to-attend seminar sessions on the latest developments in the electrical manufacturing world from material, component and application design, to market analysis and manufacturing processes – all delivered by experts in their fields. The 2016 line-up will be announced shortly but visitors can expect to hear from speakers of a similarly high calibre to last year. 2015’s speakers included Dr Régis Lemaître, head of Research and Technology at ThyssenKrupp Electrical Steel; Erika Wilson, joint managing director of Wilson Power Solutions; Christoph Ploetner, technical and R&D manager at ABB Power Transformers; and Bernd Heinrichs, managing director for IoT at Cisco EMEAR. The CWIEME Challenge – CWIEME’s search for the next generation of groundbreaking engineers – will also return for 2016. Students from academic institutions around the world are invited to present their projects in the CWIEME Challenge Hub, both in poster form and on stage in a live final. The winner will receive a €1,000 travel prize, while all finalists gain valuable exposure to potential employers. The CWIEME Challenge has brought last year’s winner, PhD student Sheng Yuan from Liverpool University in the UK, invaluable speaking opportunities around the world. “Every year CWIEME Berlin is getting bigger and better and we can’t wait to welcome new and returning visitors, exhibitors and speakers to our 21st anniversary edition. For this one week in May, the Messe Berlin really will be the heart of the international coil winding, insulation and electrical manufacturing industries,” says Haf Cennydd, portfolio director for the CWIEME exhibition series. Visit www.coilwindingexpo.com/berlin to find out more and register for your free visitor’s entry pass today.